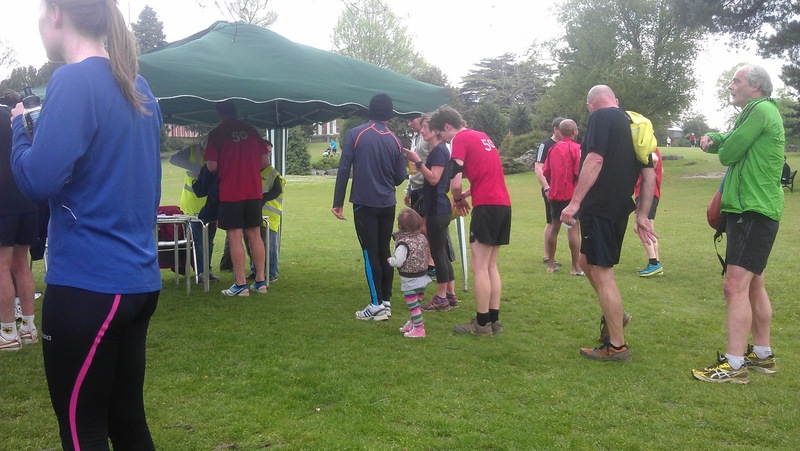 Greenwich parkrun is in Eltham, which is in the Royal Borough of Greenwich but nowhere near the place most people know as Greenwich. 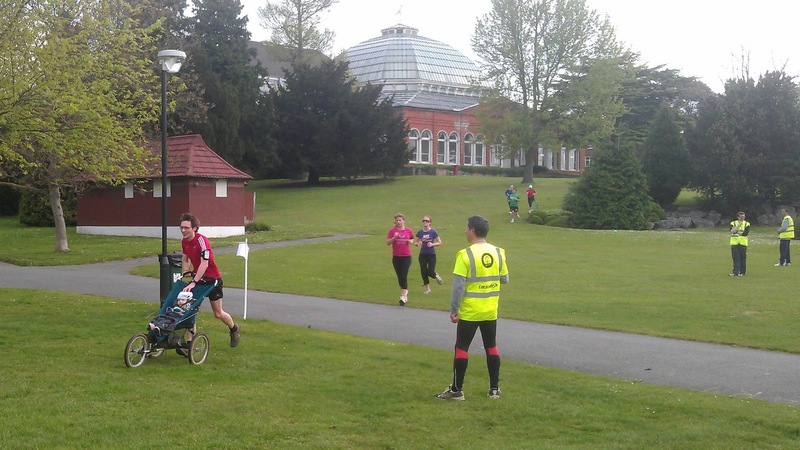 I've always wondered if it could have been named better (Eltham parkrun, or even Avery Hill parkrun). 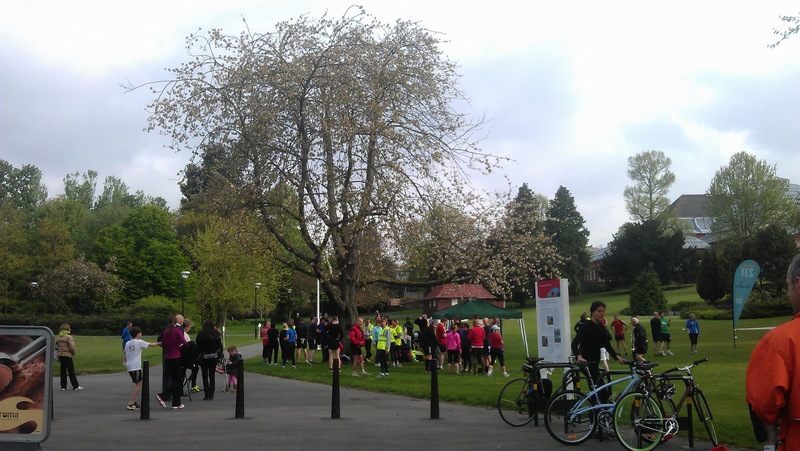 Anyway, that doesn't really matter because when you set foot in Avery Hill Park you will forget what the parkrun is called and just wonder why you've never been there before. One of the first features you'll notice is the Victorian mansion which sits proudly at the highest point of the park, then you notice the extremely well-kept grass, trees and hedges. There is a cafe, which houses the toilets (note: one shared male/female toilet and one disabled-friendly toilet - so you may have to queue). Next to the cafe is a small childrens' playground where we spent some time in beforehand and which almost convinced the toddler to abandon her buggy run. Next to this is an outdoor gym - very convenient if you fancy an extended workout. Before the run started I listened in to the first-timers' briefing which was very informative if you're unsure as to what this parkrun thing is all about. There was also an invite to join the team in the cafe afterwards - which unfortunately we couldn't do as we had to be in Dartford by just after 10am. We travelled by car and parked in one of two decent sized car parks just inside the entrance of the park. The car park is free at weekends but you do have to pay during the week. Had I cycled I would have been able to secure my bike to one of the four bicycle racks outside the cafe. Falconwood are New Eltham are the closest train stations. 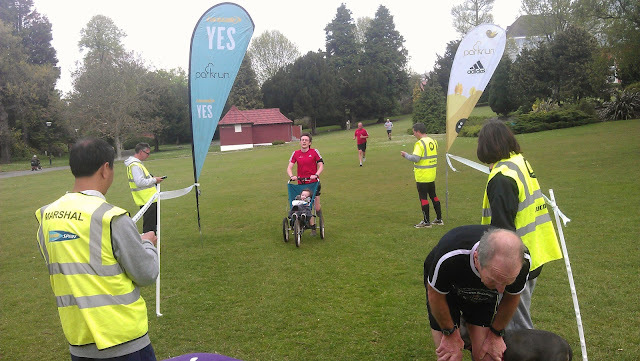 The route of the parkrun has you running three identical laps (not the full perimeter) around the park. About 75% of the course is on grass and the rest on a tarmac path. If I were to describe the lap it would be like this - Slightly uphill to start, then very gently undulating or flat until you reach the latter part of the lap where you have a longer incline on the tarmac path, then you switch back to grass and continue to climb before negotiating a short sharp drop - which the toddler loved - back down to the starting point. On the last lap you swing left at the bottom of this section and give it all you've got until you reach the finish line. 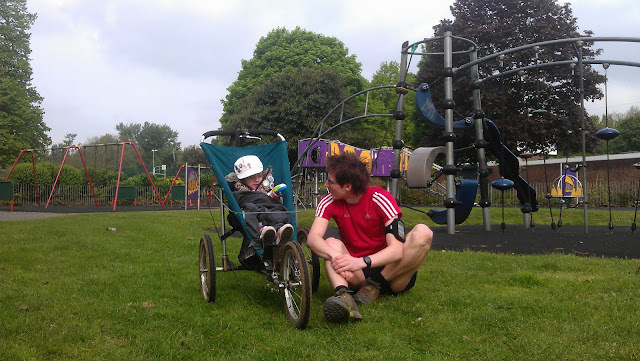 If you are buggy running (I use a baby jogger 2) here you'll find certain sections are a little bumpy for the occupant of the buggy - EDIT: Since I ran here the bumpiest section has been turned into a real tarmac path.